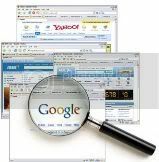 Search Engine Marketing has always played a critical role in managing the visibility of a company’s online brand. However with the Internet becoming what is arguably today’s dominant medium, Search Engine Marketing has also risen to become a key driver in a company’s overall brand strategy. Regrettably the maturity of the products and services that comprise search engine related disciplines come at a time when the industry has never been more complicated and difficult to navigate for the uninitiated. Even though businesses today have many more options with regard to how they execute their search engine initiatives, I find that many marketing executives struggle more today with their online marketing strategies than they did a few years ago. In today’s blog post I’ll share my opinions on the current state of the Search Engine Marketing Industry. My experience with Search Engine Marketing predates many in the field. I have been active online since the days of ARPANET, co-founded what was at the time the largest web development company in the Pacific Northwest region of the United States, served as Director of Internet Strategy for the world’s largest web-enablement, founded one of the top 50 Interactive Advertising Agencies in the United States prior to its sale, and our fastest growing practice area at N2growth is our social media practice. My purpose in providing the resume excerpt is not to self-promote, but simply to make the point that I have been actively involved in the industry from its conception, watched it struggle through its adolescence of the dot.com boom and bust, and am now watching it thrive again with a rapid proliferation of technology and marketing advances. While the Internet as a medium is far from being mature, it has most certainly evolved, and so have the methods for marketing your brand online. This last year alone I attended a number of SEO/SEM/SMM conferences, and while the messages communicated at these events made it clear that the industry has shown remarkable growth, made tremendous advances in sophistication, and has increased in the diversity of product/service offerings currently available, I question whether things are getting better or worse for the lay person which accounts for the majority of consumers. In talking regularly with many senior executives, marketing professionals and entrepreneurs one thing is clear…they are clearly not fluent in the area of search engine marketing. While these professionals understand the potential that search engine marketing affords for their businesses, they do not understand how to capitalize on it. In fact, many of the people I have spoken with are extremely frustrated at the amount of money they have invested in search initiatives without being able to develop an understanding of the medium, such that they have not yet been able to develop a consistent winning strategy in this space. The major problems that exist within the search industry are tied to the fact that this is still an embryonic, yet quickly evolving medium. There are only so many ways to promote your brand in more mature mediums like radio, print or television. Contrast this with the numerous options available with digital marketing, and you’ll quickly see the conundum that most businesses face. We regularly have clients ask if they should be on Facebook, Twitter, Lindedin or other social media networks, buy banner ads, purchase sponsorships, work on organic search engine optimization, use pay-per-click ads, focus on online PR, launch a blog, produce articles and/or white papers, create a Podcast, work on link building, start a video marketing campaign, promote webcasts, and the list could go on and on…You can see why so many organizations struggle online. The reality is that communication mediums in the early stages of their lifecycle spit out new opportunities faster than you can shake a stick at, and worse yet, this happens with a plethora of inexperienced vendors lined-up to cut their teeth on the advertiser’s nickel. There is rarely a week that passes when I don’t speak to a company who has a horror story to tell about a search marketing company who over-promised and under-delivered and by the time the advertiser figured out what was going-on they had spent thousands of dollars with little to show for it. Another problem with the search industry is that Google currently controls most of the traffic. Combine Google’s dominant position with the fact that they will share little if any data with advertisers and that they can change the rules of the game at any time and it brings new meaning to the term “Flying Blind.” However the issue of transparency within the search industry is not limited to Google. Most of the search engines play their cards very close to the chest as they try and establish a leg up in the market. Until there is significant competitive pressure brought to bear on Google the odds are stacked against the advertiser. I met with a client last week that was spending 50% of their Pay-Per-Click budget on Yahoo and Bing because it was recommended to them by their search marketing firm. The problem was that given the advertiser’s product line and target market, Yahoo and Bing would produce virtually no return for them…This is a big problem. The fact is that the Internet is the medium that can deliver the most velocity and biggest return on your marketing dollar. I also believe that this will continue to be the case as the dominance of the Internet medium will only continue to widen the gap over alternate mediums. Companies cannot afford not to allocate a substantial part of their advertising budget to online advertising, but until the medium matures it will behoove of them to make sure that they work with the best vendors who can keep up with the rapid pace of change in the industry.